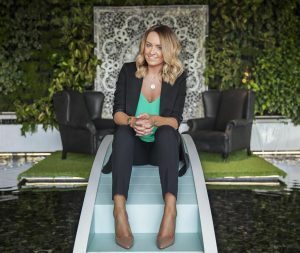 Manchester-based cloud and hosting firm UKFast has appointed a marketing director as it looks to triple the size of its marketing function. Kristina McGuirk joins the technology firm from Dentsu Aegis agency Carat, where she was responsible for leading marketing for clients across various sectors including retail, fashion, health and beauty. She's also worked for MEC and Zenith Optimedia. She said: “This is my biggest challenge yet in terms of creating a world-class marketing team. UKFast is at a tipping point and I'm really excited that I'm here at the start of this stage of the journey, while there's a huge opportunity to grow. McGuirk will oversee all aspects of UKFast’s brand, content and creative strategy. She added: “Agency side I was able to move very quickly and innovatively, but since arriving here I’m amazed by the speed at which UKFast operates. It’s similar in style to an agency model, but with unlimited resources. UKFast said it would be announcing a "string of senior marketing hires" later this quarter. CEO Lawrence Jones MBE said: “To get somebody like Kristina on board is an amazing coup for us, as talent from high-profile agencies often view agency life as the only way to maintain their cutting edge skills. But UKFast does things differently. “Perhaps the most important thing with bringing anybody into the business, especially a senior leader, is that they are the right fit culturally and Kristina certainly ticks that box. She brings a huge amount of experience and energy to the team." UKFast recently announced £17.6m EBITDA on turnover of £40m in 2016, with a run rate of over £45m. The firm has more than 350 staff across offices in Manchester, London and Glasgow.